Pipp is a puggle (which is a baby echidna). He is desperately trying to grow his spines like the rest of the puggles, but despite his greatest efforts he is still smooth and spineless. He goes and asks his animal friends, and tries many different suggestions. Then when he can laugh, dig and jump no more (all to no avail), he turns to his Mum. Mum reassures him in her own way that ‘good things come to those who wait, but like all little ones, Pipp is perfect just the way he is’. 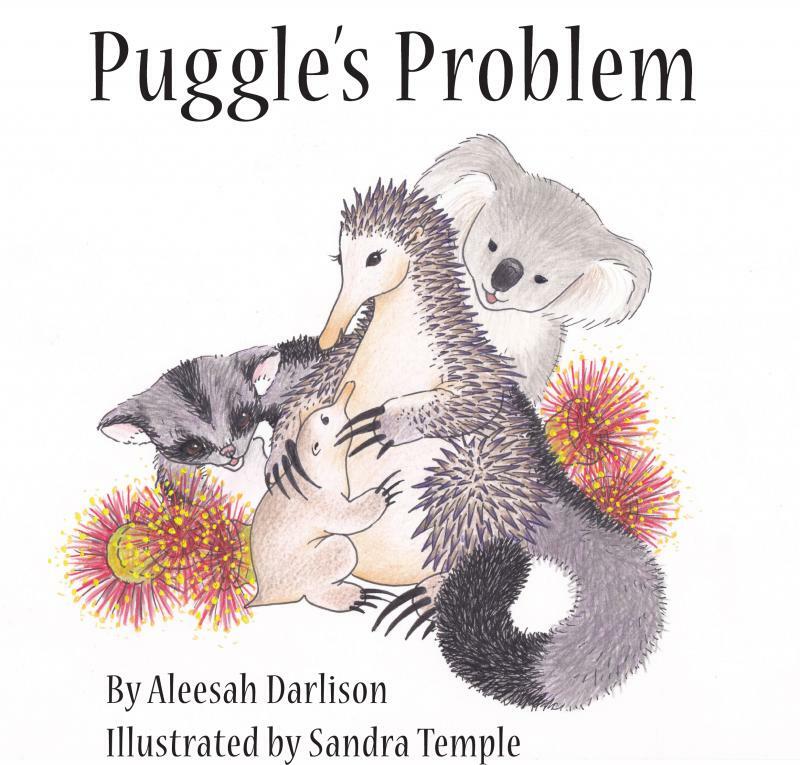 Aleesah Darlison’s Puggles Problem is a lovely story with an important message for children’s self esteem and those in a hurry to grow up. Incorporated into the world of Australian animals and the loving home of Pipp the puggle. Beautifully illustrated in pencil and felt pen, Sandra Temple displays her talents with simple media and does it very well.